[무료강의안내] 인공지능은 예술작품을 창작할 수 있을까?steemCreated with Sketch. 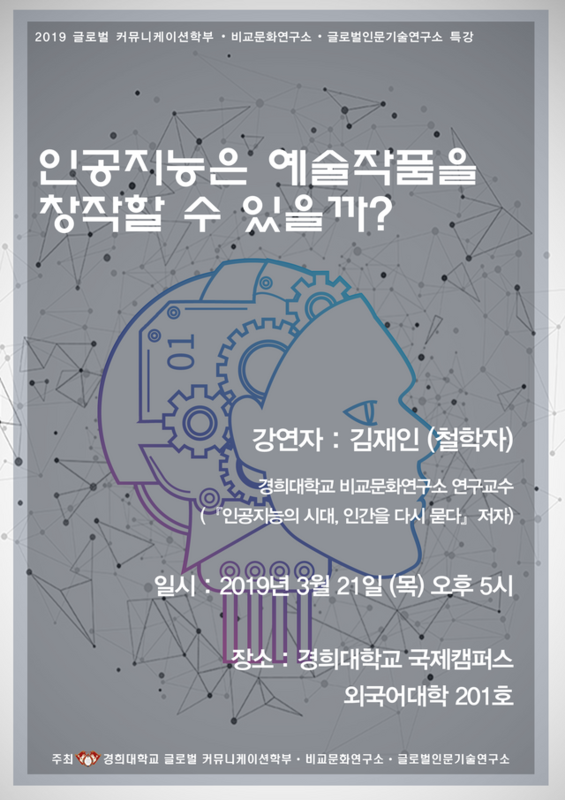 막연하게 기술이 아무리 발전해도 인간들만의 고유 영역으로 남을 것 같았는데, 보는 기준에 따라서는 .....또.. 참여는 못하지만, 나중에라도 꼭 영상으로 볼 수 있으면 좋겠습니다. Your UA account score is currently 4.388 which ranks you at #2338 across all Steem accounts. Your rank has dropped 22 places in the last three days (old rank 2316). In our last Algorithmic Curation Round, consisting of 197 contributions, your post is ranked at #100.